I constantly have black bananas about. My almost three year old will love them one day and despise them the next. I also have grand dreams of making smoothies that never quite happen. 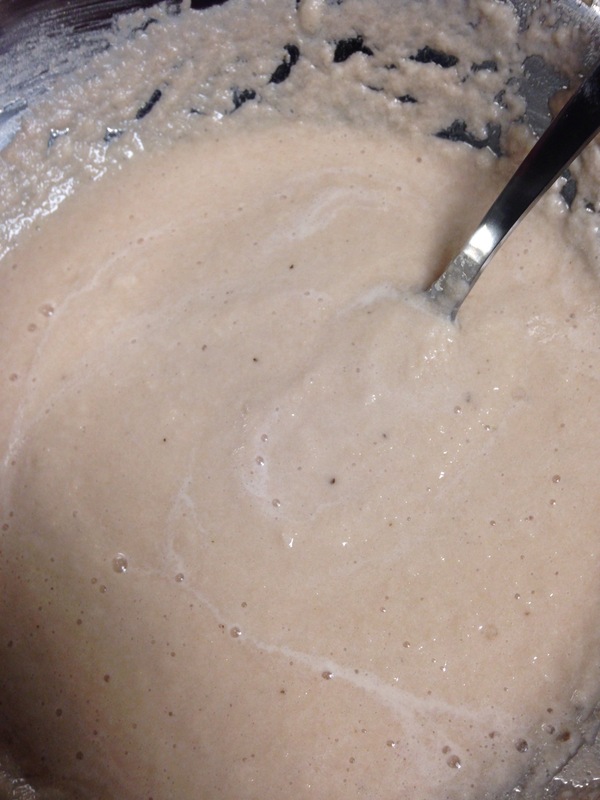 I found the original recipe here, I altered it for yield and for what I had on hand. Another note would be that I used Aunt Jemima pancake syrup not actually maple syrup, that is a luxury I cannot afford at the moment. These little cakes are DELICIOUS!! I’ve scarfed three and they aren’t even cool yet. When hot/warm they are almost like chocolate lava cake! Enjoy! Spoon into well greased muffin tins. Let cool completely in runs before moving. Stores for a week in the fridge or longer in the freezer. Started on a giant batch of banana bread. 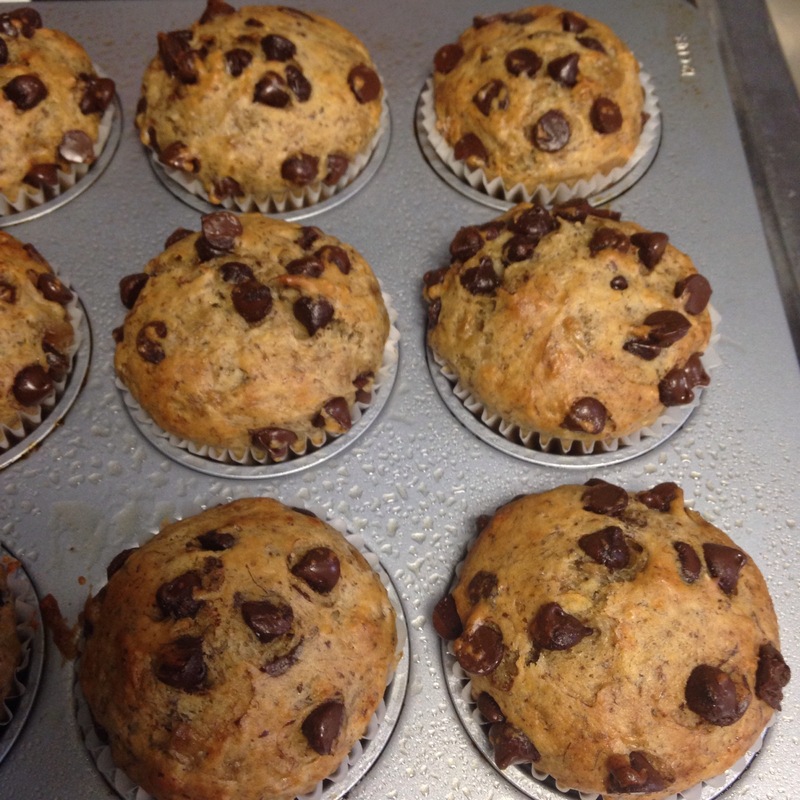 Made one plain loaf and a whole bunch of muffins that I added chocolate chips too. 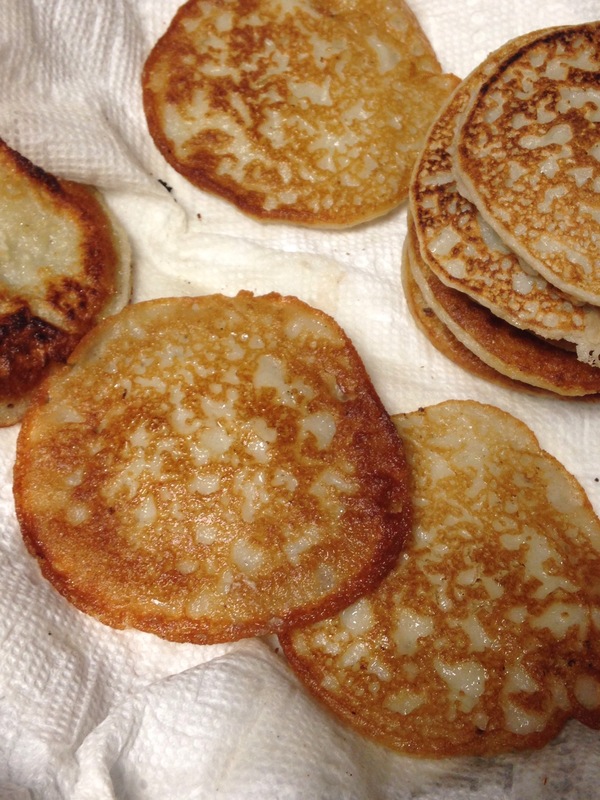 Polish style potato pancakes for dinner. I smother mine in sour cream, my partner smothers his in sugar. Still so much to do. 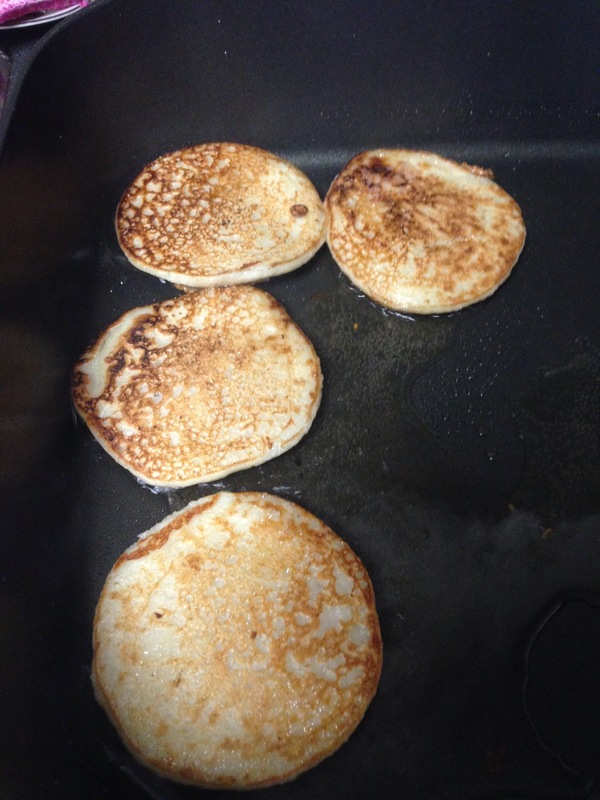 I had some fond memories of my maternal great grandmother as I fried the cakes in bacon fat. One of my distinct memories of my young life is her collecting bacon grease in a big silver coffee can on the stove top. 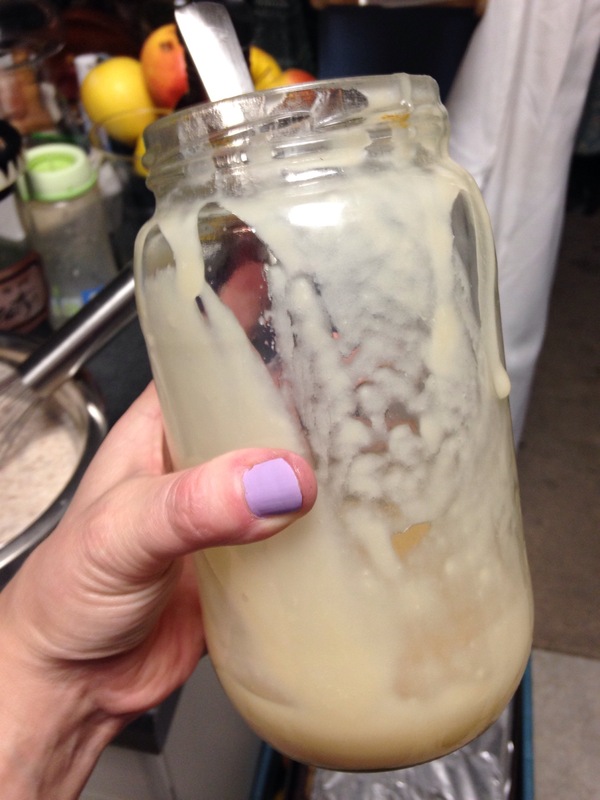 Coming up will be posts on Jun, Kombucha, preserving lemons and making pectin. Yay for apple season! I do apologize for the long delay. For a explanation please go here. Shortly after the dried apple experiment I tried an old recipe with a new twist. Many years ago when I was diagnosed with IBS, one of the recipes I came across was oven dried bananas (or banana chips). When done this way they are AMAZING. Nothing like the deep fried greasy bits you find in stores. All I really did differently was dipping them in the water/lemon juice mixture and dried them for longer at a lower temperature. They were crunchy yet chewy when I first tried them. I tried them again about a week ago and they seem to have dried out a bit more and are quite difficult to chew on. I’m not sure if this is because my bananas were a little too green and therefore did not have a high enough sugar content, or if I just simply dried them too long. 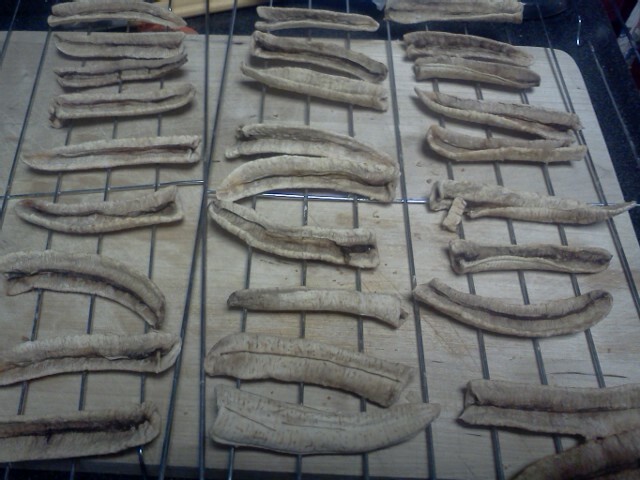 My tip for you is to dry them for 3-6 hours and see if they are at the consistency you want. If you prefer them softer like I do then store them in the fridge in a air tight container. 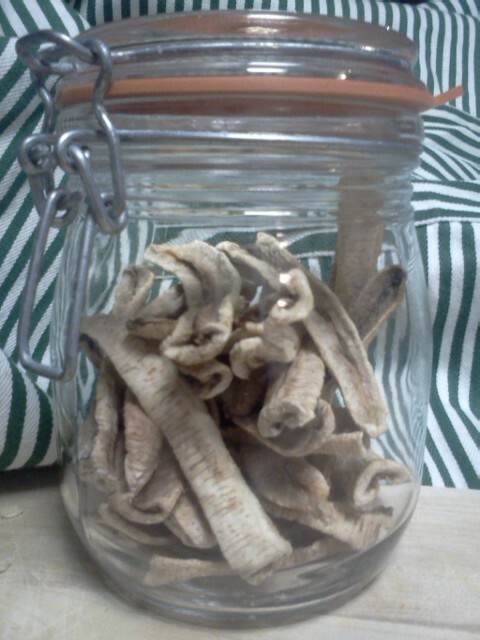 If you like the super crunchy ones dry for 6-9 hours and store them in an air tight container in the cupboard. 1. Preheat oven to your lowest setting. Mine gets down to about 130 degrees F.
2. Mix lemon juice and water. 3. Peel bananas and break or cut in half. Using your thumb press into the middle of the flat end of the banana, it will split into three wedges quite easily. Put these wedges into the lemon water. Do this with all the bananas. 4. Place onto drying racks and place onto the oven rack. 5. Close door, propping open with a wooden spoon to help keep the temperature low. Let dry for 3-9 hours, depending on how dry you want them. 6. Let cool and enjoy!